Ambassador to China John McCallum was fired because of comments “inconsistent with the Government of Canada,” according to Foreign Affairs Minister Chrystia Freeland. 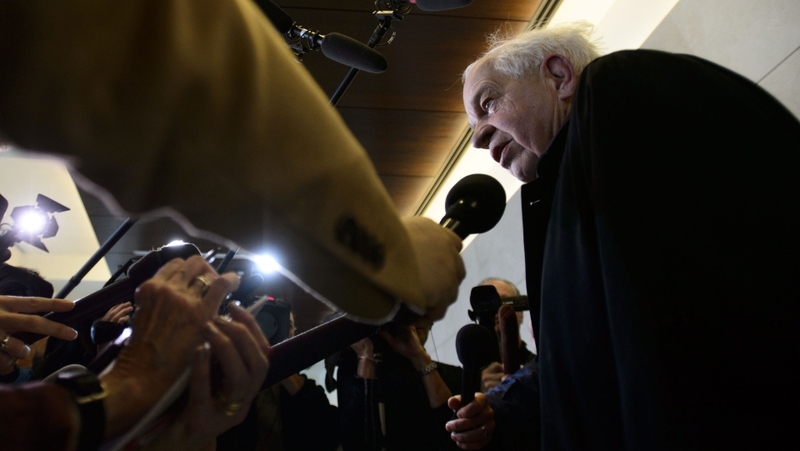 The prime minister's office announced Saturday that ambassador McCallum had been told to hand in his resignation -- just hours after he weighed in on a high-stakes extradition case for the second time in less than a week. McCallum opined twice on the Meng case, even though he apologized for misspeaking the first time, sowing further chaos in Canada's relations with China, and raising concerns about the government's efforts to win the release of detained Canadians Michael Kovrig and Michael Spavor. Kovrig and Spavor are being detained in China for what many analysts say is revenge for the arrest of Huawei executive Meng Wanzhou in Vancouver in December, at the request of the U.S.
On Monday evening, U.S. authorities unsealed a 13-count indictment against Meng, Huawei and the company’s subsidiary Skycom that alleges the company lied about the level of its business in Iran. Meng herself has been charged with bank fraud, wire fraud, and conspiracies to commit bank and wire fraud for her alleged role in the matter. Late Monday, the U.S. formally requested Meng’s extradition. A separate indictment alleges Huawei offered bonuses to employees who stole confidential information from other companies. The 10-count indictment, filed in Washington State, includes charges of theft of trade secrets conspiracy, attempted theft of trade secrets, seven counts of wire fraud, and one count of obstruction of justice. Freeland said that despite McCallum’s comments about the Huawei case over the past week, she still considered him a remarkable public servant and one of Canada’s foremost economists. He’s been replaced by his number two in Beijing, Jim Nickel. When asked how much of a setback McCallum’s resignation is in the case of Kovrig and Spavor, Freeland said the government was committed to a resolution. “The situation last week was unfortunate. It in no way changes our government’s direction,” she said. She added that the government was looking into reports of a third Canadian arrested in China. The South China Morning Post, citing local media, says the 61-year-old is accused of trying to defraud an unnamed entertainment company out of C$375 million.